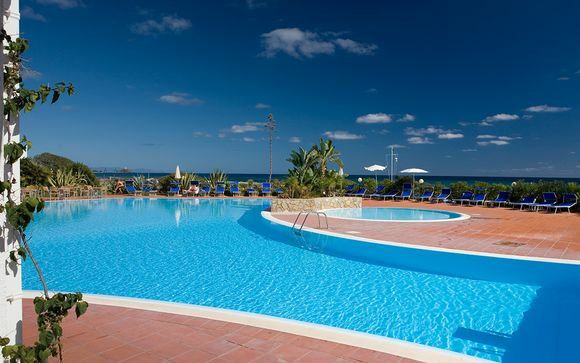 Holidays to Sardinia up to -70% off To take advantage of these offers, join now for free! 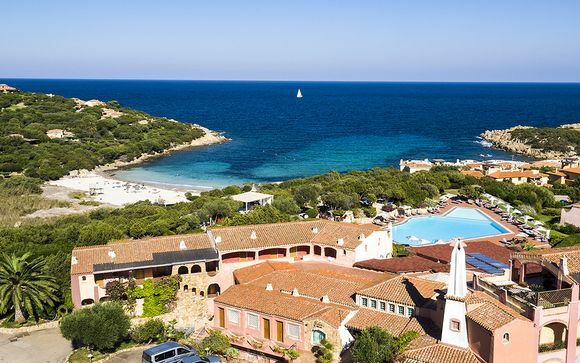 Enjoy luxury holidays to Sardinia and discover great beaches and the best of Italian culture and cuisine on a tranquil island hideaway. 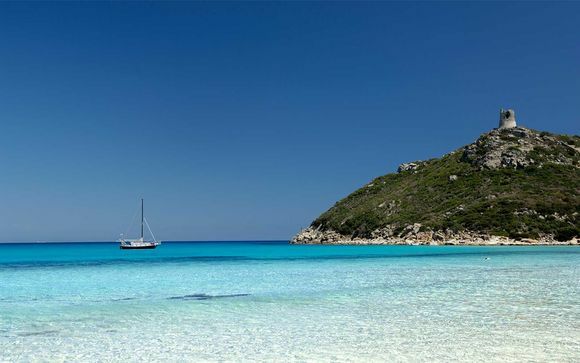 Sardinia is a lush and tranquil Mediterranean island nestled between Italian Sicily and French Corsica. It is an autonomous region of Italy and the Italian influence is everywhere, from the excellent Sardinian wines to the plentiful pasta to the terracotta-roofed buildings in the hilltop towns. 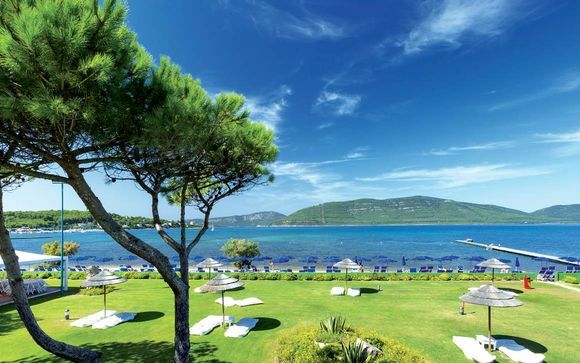 And the beaches are sublime: from the glitzy Costa Smeralda on the North-East coast, to the unspoilt charm of Costa Rei in the South, the sea is glittering azure and the sand is pearly white. 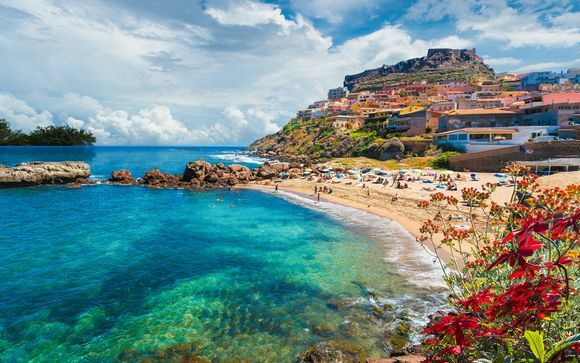 There are countless unnamed coves to explore during your holiday to Sardinia, as well as popular beaches where the swathes of golden or white sands are a magnet to tourists and locals alike. But it isn’t hard to find a spot to yourself. In pretty Chia, the crescents of powdery sands are backed by sand dunes for a sheltered feel, while on the West of the island is the Sinis peninsula, which is quiet and family friendly. 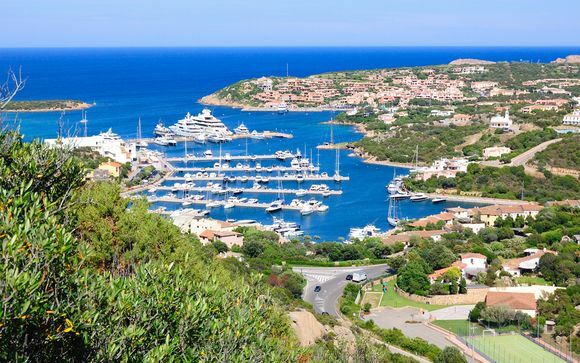 But if it’s Beverly Hills-style glamour and glitz you’re after, you can’t beat the Costa Smeralda (emerald coast) for its five-star hotels, high-end boutiques and bars populated by the beautiful people. The rugged interior is more mountainous than you might expect, with craggy moon-like landscapes scattered with huge granite monoliths, isolated villages in verdant valleys and breath-taking rocky gorges. The capital city, Cagliari, is a lively place with great cafés and restaurants as well as an impressive hilltop citadel, while Alghero, in the north of the island, is a historic town with medieval churches, winding streets and craft shops. 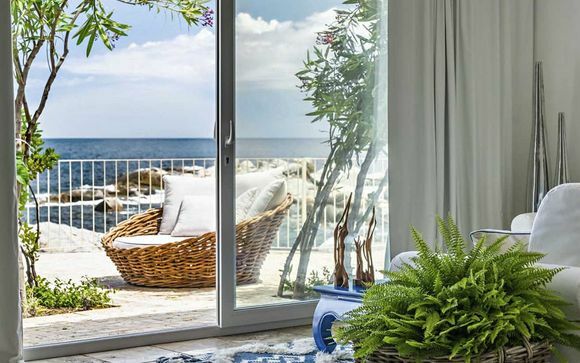 From five-star luxury to rustic villas, our handpicked holidays to Sardinia are available at exclusive prices, so you get a great deal. Sign up to the website to see all the available offers now.